The awkward in between Midwest weather has been a little tricky over the last couple of weeks. First it's full blown 78 degrees, sunshine and spring, the next day it's back to 40 degrees and freezing cold with rain or snow. The back and forth temps have been making getting dressed in the morning a bit of a challenge...not to mention I have tried to flip my closet from winter to spring about three times now, and every time I attempt to rearrange it's like the fashion gods strike down with a snow shower...what is a girl to do??? Well, add some color and embrace the crazy unpredictable temps with a couple cute layers. 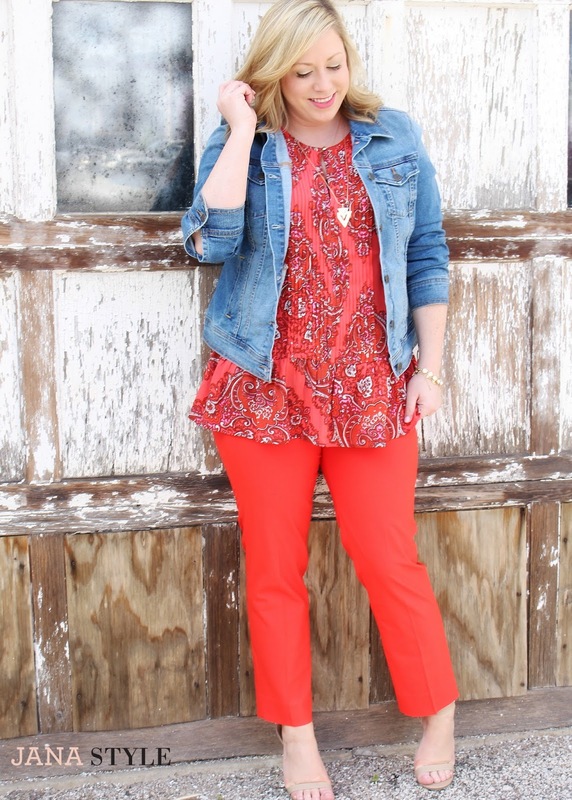 That's been my plan the last few weeks, if you can't beat the cold weather blasts…dress in some bright vivid hues and hope spring will eventually stick around...right!?! 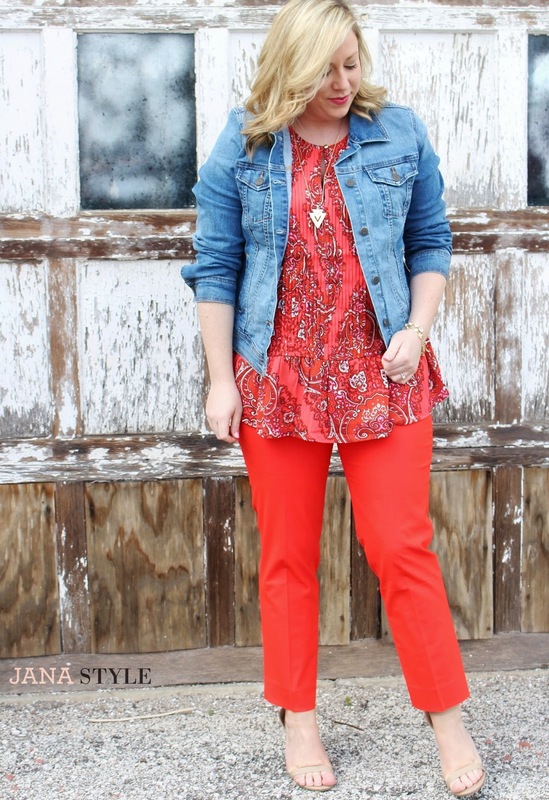 Jana Style Tip: Don’t be afraid to incorporate a bold bright color into your wardrobe. 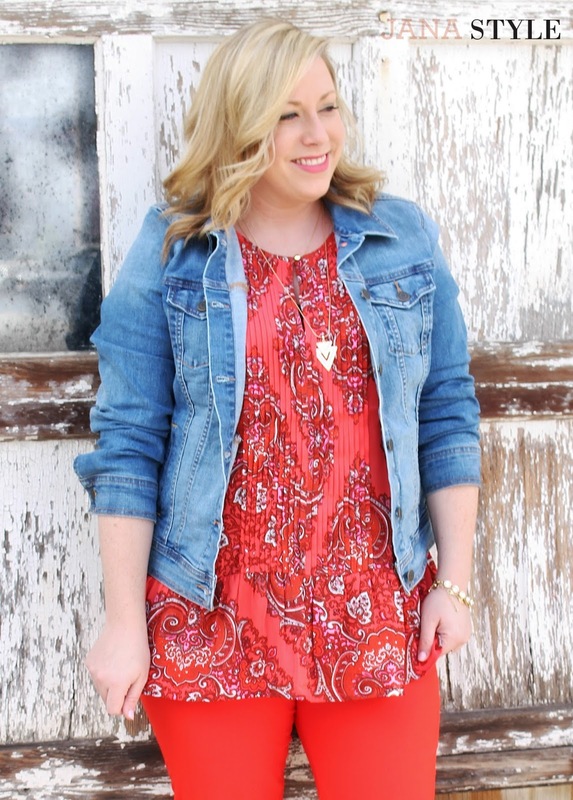 I love mixing a bright outfit with a denim jacket to create the perfect spring look! 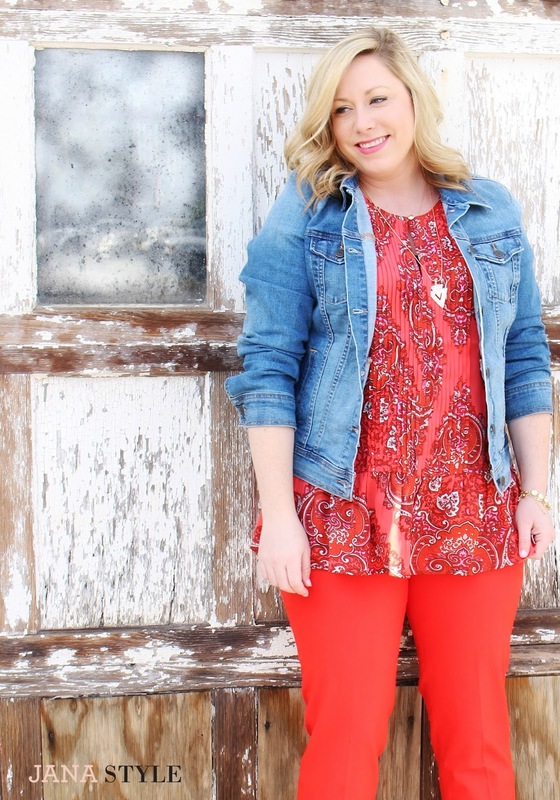 5 Easy ways to embrace color for spring! 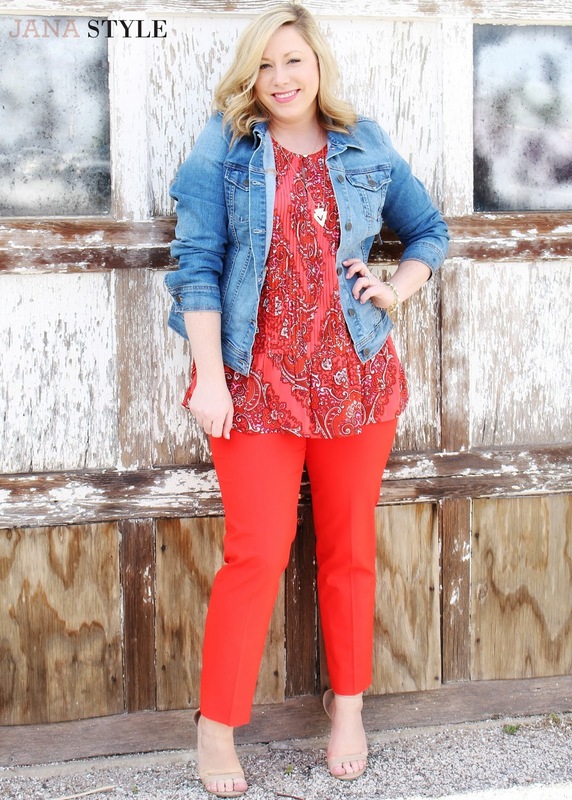 Color can be such a fun way to brighten up your looks for spring and summer! 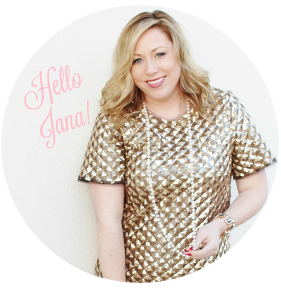 Incorporating some of these easy and small changes into a monochromatic look or otherwise neutral outfits can really add so much to your wardrobe! 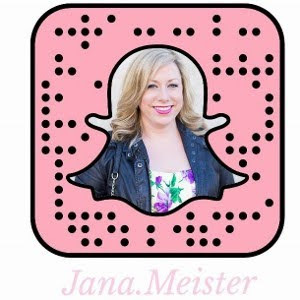 I know embracing color can be scary, but take small steps and have fun with your spring wardrobe!